השלט הזה נמצא בכניסת העיר הפרברית איפה אני גר. 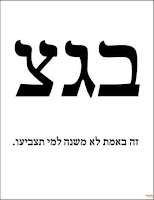 אני מחקתי את השם שלה מהשלט. לא צריכים את זה. כנראה גם יש לכם שלטים כאלה בישובים שלכם. 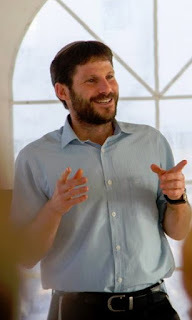 פשוט צריכים לשים לב. למה ממשלות מדינות ומקומיות כוחות השלטון רוצים לשים מצלמות בכל הסביבות שלנו? כדי להגן עלינו. כמובן! להגן עלינו מגנבים, רוצחים, ומחבלים! 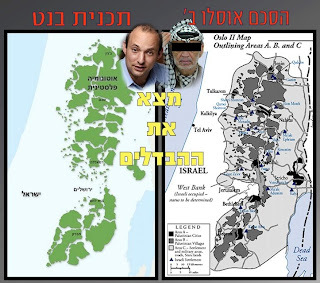 (אפילו שאסור לנו לדבר על האפשרות שמחבלים ייכנסו גם לתוך הפרברים.) 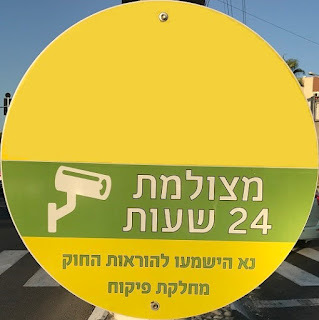 מה זה משנה אם אנחנו חייבים לבטל את הפרטיות שלנו? עכשיו אנחנו מרגישים יותר בטוחים! תודה רבה לממלשות שלנו! אם אתם מאמינים שמערכת מצלמות כזו באמת רק לטובתינו אז... בהצלחה. This sign is at the entrance of the suburban city where I currently reside. I erased its name from the sign. We do not need that. You probably also have such signs in your communities. Just have to pay attention. Why do state and local governments the powers that be want to put cameras all around us? To protect us, of course! To protect us from thieves, murderers, and terrorists! (Even if we are not allowed to talk about the possibility that terrorists will also enter the suburbs.) What does it matter if we have to cancel our privacy? Now we feel safer! Thank you very much for our malpractice! If you believe that a security camera system such as this is really only for our own good then ... Good luck to you. I have mixed feelings commenting on this piece. For one, it's from Artuz 7. But hey, if A7 is the only source carrying a particular piece, what's a guy to do? And, second, I don't like giving these people, like the author of this piece, free publicity. Sometimes it's better just to ignore them. They really hate that. "Meir David HaKohen Kahane lives!" First off, Gerald, that's RABBI Meir David HaKohen Kahane. (sigh)Yes, he mentions "rabbi" soon after. Nevertheless it is appropriate to include his title at the first mention of his name. Now, what exactly does Gerald McGlothlin mean by this statement? When Jews say it, we mean that his Torah ideas are alive. But, when McGlothlin says it, does he mean "alive" as in Christian messianic mythological alive? Or does he mean Rabbi Kahane's influence? Now that I point this out, I wonder how he would respond. Any guesses? And his next statement? "And he's affecting politics from the grave..." Just a metaphor? Or a suggestion of something else? "But, isn't he right?" you may be asking. Irrelevant. That is not the point of this post. And besides [in times when Jews maintain control over the Land of Israel] one may not speak about such individuals with praise. Oh, and how do I know that he is a Christian? Google him. The description of the YouTube channel he is associated with is more than enough for me. Great State? Nowhere in the Torah does it mention a state. It does mention kings, as well as the Sanhedrin, ואין צריך לומר the Land. And so, I am not insulted by the concern that the State might be "late." Eventually, we will have a Kingdom. My only question is this: Is McGlothlin simply one of those Christians who believes in pushing along his mythological beliefs, which include events pertaining to Jews, and their actions? Or is he one of those who believes that Christians will, one way or another, eventually reside in the Land of Israel, and are even entitled to do so? "But, didn't Rabbi Kahane speak to Christians and even go on Christian talk radio?" you may be asking. Irrelevant. Christian strategies have changed drastically, just like their predecessor Esau changed his strategies in the Torah, and his descendants have continued to do so through out history, in order to overpower Ya'aqov (Israel). "If you [Christians] want to support us, support us from afar. If you want to come to Israel and missionize [which, of course, McGlothlin doesn't mention] we'll have to...."
I wonder if Gerald McGlothlin knows of this quote from the Rav. 1. Sources are purposefully absent on this post, although easy enough to find on ones own. Although it is permissible to teach Christians Written Torah, it is, for the most part, forbidden to teach them Oral Torah. 2. Aren't there Jewish traditions regarding reincarnation? Yes, but there completely different from those of Christians. BaGa"Tz (Israeli High Court of Justice) under the leadership of Esther Hayut, President of the Israeli Supreme Court: The only political party which has never passed the threshold but has been in power since 1995. בג"ץ פסל את מעמדות לכנסת של מיכאל בן ארי ואישר את מעמדויות של ח"כים ערבים המתנגדים להתיחס למדינת ישארל כמדינה יהודית, אפילו אחרי פיגוע איבה ערבית. בטח שאתם כבר יודעים את זה. אבל אולי עוד לא יודעים ששדולה אמריקאית פרו-ישראלית [איפא"ק] התקיף את מפלגת עוצמה יהודית ומיכאל בן ארי וקוראים להם כל מיני שמות כינוי (לא יפים). איפא"ק הוא האירגון האמריקאי "היהודי" הטוען שישראל וארה"ב צריכים להשאר מחוברים לנצח. 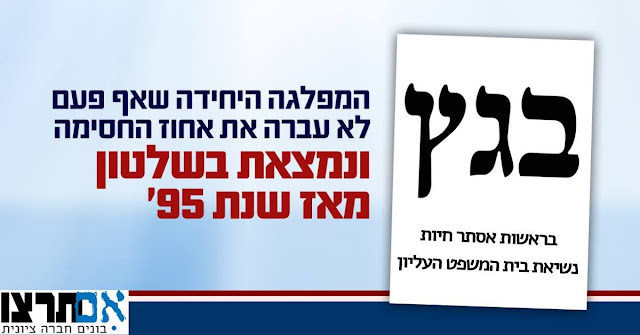 לדעתי, אפשר לתרגם את זה ככה: "ארה"ב מדינה ליהודים כמדינת ארץ ישראל יהודים לא צריכים לעלות לארץ ישראל ופשוט צריכים לזרוק כסף אל המדינה כדי לצאת מידי חובתם." עדות נוספת שאיפאק לא באמת בעד ארץ ישראל ולא בעד יהדות אמיתית. עדות נוספת של השפעת הערב רב אפילו מחו"ל על מה שקורה כאן בארץ. "Legislation from the Bench? You don't know anything about legislation from the Bench until you've lived in Israel." So, now we can see lots of memes going around social media about Israel's High Court, like those I post here. 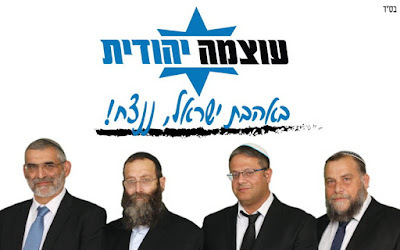 Have Jews finally woken up and are prepared to do something about the High Court by working to change the laws putting legislative authority back into the hands of the Knesset whom we actually elect? has gone after Michael Ben Ari and the Otzma Yehudit Party and have called them all sorts of names. AIPAC is the American "Jewish" organization that claims that Israel and the US should remain "connected forever." 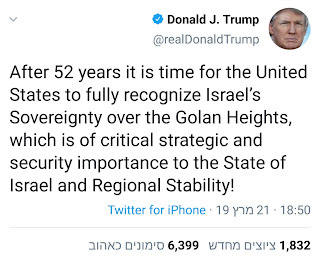 In my opinion, this can be translated as follows: "The United States is a home for the Jews as much as the State Land of Israel. Jews do not have to make aliyah (immigrate to Israel) and simply have to throw money into the country in order to fulfill their obligations to it." Yet more evidence that AIPAC is neither pro-Israel, nor even pro-Jewish. More evidence of the Erev Rav influence over Israel. Is Claiming that Jews have Dual Loyalties Anti-Semitic? Well, looking at the banner and catch phrase for the American Israel Public Action Committee's [AIPAC] upcoming Policy Conference, I would have to say that they want the U. S. and Israel to be "connected for good." I guess that's one of the reasons I am sometimes labeled as an "extremist." Of course, it wasn't my idea; it was and is the idea of The Holy One, Blessed Be He. Sure, if you're Satmar or Neturei Karta, then you believe that Jew's took control of the Land of Israel at the wrong time, the wrong way, and by the wrong people. But, they still believe that it WILL eventually be in the hands of the Jewish People, having been Divinely-promised to us. But, if you call yourself a "Zionist" -- which incidentally wasn't not invented by Theodore Hertzl, but rather by The Holy One, Blessed Be He -- then why on earth would you have any loyalty to the U. S. at all? Appreciation and gratitude, yes. Commitment to be a helpful citizen while you still reside there, yes. But, why the heck are you still residing there, if you're a "Zionist??" The gates have finally been opened. You have no excuse not to make aliyah (Jewish immigration to Israel), certainly not if you identify as a "Zionist." Waiting till your children reach a certain age, so it's less difficult on them. Waiting for them to finish college, or any other goal they have. Their age won't matter. You'll find an excuse for every age or goal. Single parents not wanting to part from your children, whom you share custody with your ex, I feel for you, and don't know what to tell you. I am not sure which is more hurtful to Jews, accusations of dual loyalties, or of President Trump's declaration that the U. S. is the Jews' country, too. I certainly am against dual loyalties. 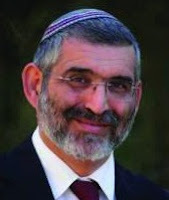 But, what others see as dual loyalties, in order that Israel can have influence over U. S. policy, I see as Erev Rav policy to prevent Jews from relinquishing ties to the U. S. and moving to the only, true Jewish Homeland. And by the way, just to be clear, I said "homeland," and not "state." I don't. I am kind of sick of these armchair Zionists. What do they think they're entitled to do? 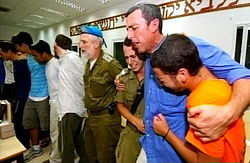 Throw money at us, tell us what to do, while we risk our lives, be it from rockets in Ashqelon and Haifa, tractor drivers and knife wielders in Jerusalem, snipers and infiltrating terrorists in Yehudah and Shomron (Judea and Samaria), while our children risk their lives in the Israeli Defense Forces [IDF], so that they can have a homeland when their grandchildren graduate from college and they retire, or it finally gets dangerous enough for them to finally run to the airport in their limousine, and get on the plane AND have a representative light a torch on the day celebrating the founding of the very State where they refuse to live? Yeah, probably. That's what they're entitled to. Here's to MK Miri Regev holding her ground. Minnesota Democratic Rep. Ilhan Omar, whose previous comments on Israel were condemned as anti-Semitic just weeks ago by senior members of her own party, is again under fire for suggesting Wednesday night that some politicians in Washington are "pushing for allegiance" to Israel. Michigan Democratic Rep. Rashida Tlaib, who was seated next to Omar during her comments, made a similar remark in January, writing on Twitter that Senate Republicans were more loyal to Israel than their own country. The accusation that Jewish politicians could be vulnerable to having "dual loyalties" has been made for centuries in various contexts, and has been seen widely as a religious-based attack intent on undermining their leadership. “I want to talk about the political influence in this country that says it is OK for people to push for allegiance to a foreign country," Omar said to applause. 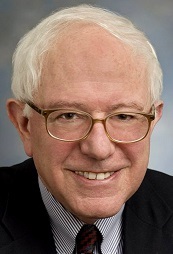 "I want to ask why is it OK for me to talk about the influence of the NRA, of fossil fuel industries, or big pharma, and not talk about a powerful lobbying movement that is influencing policy..."
..."When I see Israel institute laws that recognize it as a Jewish state and does not recognize the other religions that are living in it, and we still uphold it as a democracy in the Middle East I almost chuckle because I know that if we see that any other society we would criticize it, call it out," she said. "We do that to Iran, we do that to any other place that sort of upholds its religion. And I see that now happening with Saudi Arabia and so I am aggravated, truly, in those contradictions." Rep. Ilhan Omar (D-MN) is wrong in so many ways, but also right in a few. But, Jews particularly in the U. S. will not like the reasons I give as to why she is both right and wrong. Rep. Omar is, of course, wrong when she refers to the Land of Israel as "Palestine." The fact that there is not such thing as "Palestine," save for a fictional entity created by the Romans, and later picked up by the Jew-oppressing British. This should be a no-brainer for the so-called "Zionists" out there. Key word: should. 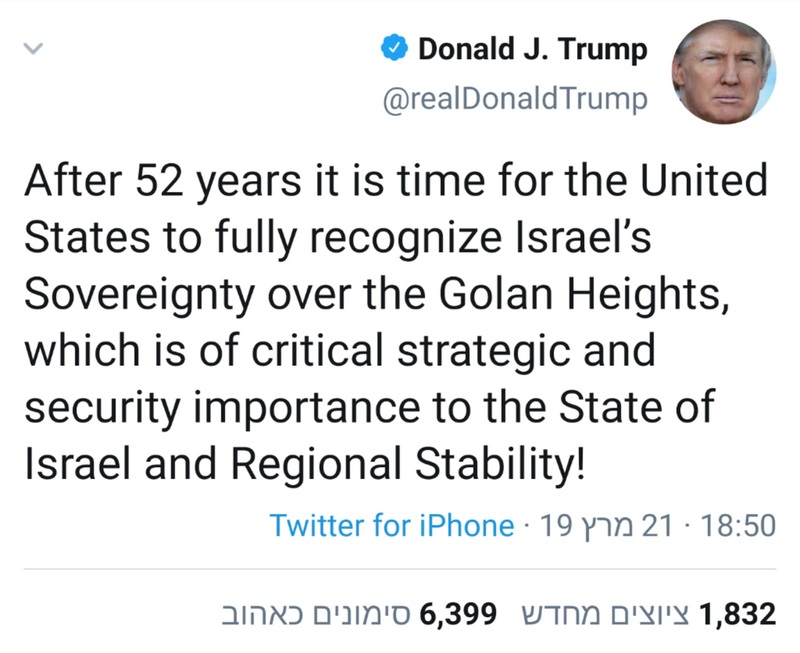 The fact that shortly after Israel's Parliamentary elections in April, President Trump will sen his Religious Zionist son-in-law to force his "plan" down our throats, give Land away to Arab terrorists and call it a state, does not make "Palestine" a real concept. Rep. Omar is wrong that Israel is a foreign country to Jews. Israel is the only country for Jews. Rep. Omar is actually right that Jews are being encouraged to have dual loyalties,... sort of. Jews are being encouraged by groups like the American Israel Public Affairs Committee [AIPAC] to support the U. S. and a Jewish "democratic" State of Israel. Nowhere in the Torah, and that includes the Oral Torah, is there mention of democracy. Of course, that is because this is a Greek, ie. Hellenist, concept. But what do groups like AIPAC care about Torah? Of course, the Torah also talks about how the Land of Israel belongs to the People of Israel,...exclusively. But, rather than take pride in the fact that like every other group on the planet, we now have our ancestral homeland back, and in our case, Divinely-promised homeland, American Jews and left-wing, Jewish organizations like AIPAC (Yes. I call AIPAC left-wing. Most all of them are left-wing) have to apologize and reinterpret the Jewish Nationality Law. Rep. Omar has a point about the Nationality Law. She mentions Saudi Arabia and Iran, and how the U. S. government is critical of their [nationalistic?] approaches. I wonder if she believes that Muslim countries are allow to take such an approach, but Israel is not, or if she is a globalist and does not believe that any country is allowed this approach. In any event, Rep. Omar is wrong about Israel not recognizing other religions. Other laws have done that. 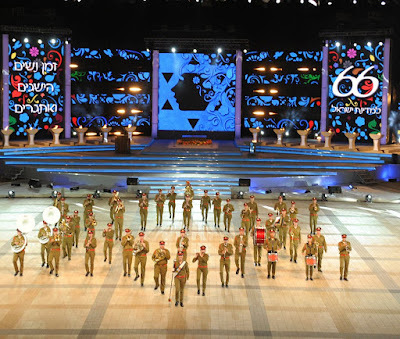 Israel recognizes religious minorities, including Druze, Christians in their countless denominational incarnations, Muslims, not to mention various ethnic groups such as the Circassians who were planted here during Ottoman rule. I wish Rep. Omar was right on this point, but she's not. We're just too co-dependent on love and existential validation from non-Jews. I really cannot understand these armchair Zionists, who defend Israel, throw money at it, and even send their kids to visit Israel on summer and post-high school programs. But, they themselves would never actually pick up and immigrate. Sure. Some of them intend to immigrate when they retire, or when their children graduate high school, or university, or when their grandchildren accomplish this or that. The list of excuses never never seems to end. And, still many of these actually support giving up land to the very Arabs who want to wipe us out, then have the audacity to call that Zionism! C'mon, Jews! 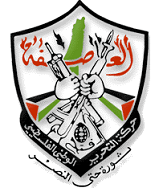 Look at the Arab terrorist organizations' dream maps of "Palestine" embedded in their emblems. They do not just include Yehudah and Shomron (Judea and Samaria), and that includes all of Jerusalem, in case you didn't know. 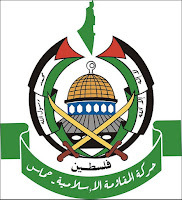 They do not just want Haifa and Be'er Sheva. You knew that they wanted Haifa and Be'er Sheva, right? They want Tel-Aviv! Residents of Tel-Aviv are considered to be just as much "settlers" as those residing in Hevron and Beth-El. The U. S., and every other country outside of the Land of Israel, serves only as a temporary residence, until it is possible to return to where we belong, to the Land Divinely-promised to us. Now that it is possible to return, we have no excuses. It is very disturbing indeed when I hear some so-called Zionist, Modern Orthodox in the U. S. citing a Satmar or Neturei Karta approach (whether they know it or not), that we should wait until Mashi'ah comes. Then he will take care of all of our problems, and whisk us away on "wings of eagles." However, those eagles already exist. The Almighty granted knowledge and wisdom to us in order to build them, and they are called... airplanes. The same very disturbing feelings come up for me when I hear all those "Religious Zionists" already here in Israel insist that we cannot bring the Passover offering to the Temple Mount, let alone start rebuilding the Temple. Religious Zionism is supposed to be about being an active part of the Ge'ulah (Redemption) process, not the application of a perspective which has little to no evidence of its existence before 500 years ago. My guess is that it began to develop due to the unending, and ever increasing oppression and desperation of Jews. Hey, there are quite afew Satmar Hassidim and Neturei Karta living in the Land of Israel. Want to stand your ground in the face of Americans like Rep. Ilhan Omar? Don't want to look like you're letting the Jew-haters win by running away to Israel? Well, as long as you believe that, you are letting them win, by not standing up proud as a Jew, and coming to invest your life, and not just your money, in the only true Jewish Homeland, the Land of Israel. Smollett, who is Jewish, black and gay, has said he was physically attacked by two masked men last month shouting racial and anti-gay slurs and “This is MAGA country,” a reference to US President Donald Trump’s campaign slogan. He said they looped a rope around his neck before running away, as he was out getting food at a Subway restaurant. He said they also poured some kind of chemical on him. Is Jussie Smollett really Jewish? His father apparently is. His mother is African American, but is she also Jewish? I have yet to find any suggestion that she is. Or if she isn't, then did Jussie undergo some kind of conversion process? The Times of Israel [TOI] couldn't even be bothered to elaborate on its interpretation on what it means to be Jewish. That at least would have been something. You see, if the allegations are true, that he hired men to stage an attack, then this reflects on the Jewish People. But, if he isn't really Jewish, then [TOI] has misled the public, and is responsible for this non-Jew's actions reflecting on the Jewish People. I suppose that HUC, RRC, and JTS ARE rabbinical schools, because that's what they happen to call themselves. Unfortunately, this is just the Western (ie. non-Jewish) mentality of believing whatever people feel. And who exactly are these "Jewish extremists?" Oh, yeah. 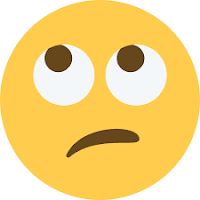 Jews who actually care about observing the Torah, and not just creatively interpreting it, making it up as they go along, or rejecting it entirely,...and then calling "Judaism." These "Jewish extremists" are defending our Divinely-promised land and not forsaking it, defending the Jewish People from terrorism, and not supporting those who support terrorism, even passively. These "rabbinical students," who not only forsake the Land, like their Erev Rav, spiritual predecessors, but who actually insist on repeating the same mistakes over again, expecting different results. In other words, if we only talk enough with Arab terrorists, then they'll eventually come around. Come around to what? Come around to believing the Western progressive culture is the superior culture. Hmm. Sounds racist an culturist to me, not allowing Ishmaelites (Arabs/Muslims) to have and to embrace their culture. Whereas, these "Jewish extremists" are understanding and accepting,and thus tremendously more respectful, of Ishmaelite culture than these so-called "rabbinical students." There are various categories of Jews who operate against the Torah. The Ramba"m lists and describes them in his Hilkhoth Teshuvah (Laws of Repentance), chapter 3: koferim, apikorsim, minim, meshumadim, etc. The "Conservatives" certainly know who the Ramba"m is. They love to interpret creatively his Moreh Nevukhim to justify some of their perspectives. However, as the late Lubavitcher Rebbe z"l suggested,... none of these Jews, associated with these "movements" they call Judaism, is knowledgeable enough even to be an apikorus. They all probably just have the status of ketinoq shenishba (like a captured child raised by goyim). I wonder how many of these students are actually Jewish anyway. They may not be culpable for their transgressions here. But, the damage they do the Land of Israel, the People of Israel, and their attacks on the Torah of Israel should not and cannot be ignored. And, TOI could not be bothered to put this this term in quotation marks or explain what it means by the term. TOI is right about a couple of things, though. There IS a widening gap between American and Israeli Jews. 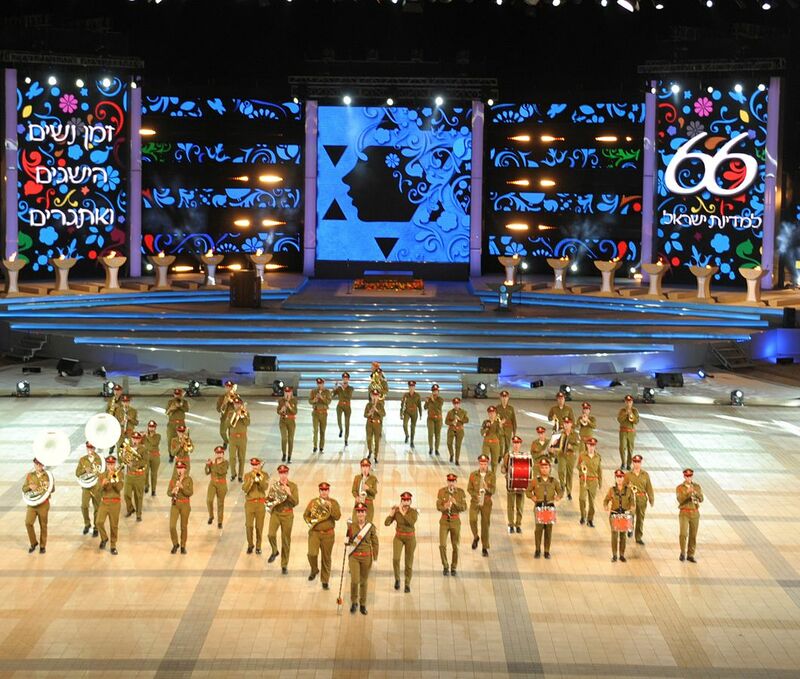 We Israelis live on the front lines; Americans live in a bubble of Western assimilation. TOI "journalists" are not actually being objective, as they might like you to believe. Rather, they are giving legitimacy to these liberal (ie. anti-Torah) perspectives. Apparently, pandering to a broader audience to increase profits is more important than telling the truth. This post should probably be in Hebrew, too. But, the offensive person in question was an English speaker. So, for now, I'll stick with English. Even though the person in question was in Haredi livush, PLEASE do not take this as an opportunity to Haredi-bash. Rather, this is an opportunity to be critical of some of those English speakers who identify as "therapists," both real and fake. While on the bus to Tel Aviv, a man starts talking way too loudly on the phone. No, he wasn't [native] "Israeli," as you people like to refer to "them" vs. "us." He was speaking way too loudly in his native English. Never heard anyone in Israel speak too loudly on the phone in English? Then you're just not paying attention,...ever. Anyway, what is this guy talking about? The clients he saw today! "I saw two couples today. One couple was from XXXXXX (community)...."
Who is he talking to? His consultant? His adviser? His own therapist? Where on earth did he learn that this is appropriate to talk about clients in a public place? What kind of course in laws and ethics for therapists did he take? Did he even take any such class? Quite frankly, this is tantamount to "acting-out of therapy." Why does he even have to speak about his clients in a public place? I don't even think he was trying to show off. Does he really think that no one will understand English? That since it's only a little demographic data, that makes it ok? This is not even about risking the clients' confidentiality. Even one iota of data disrespects his clients. They are people, not subjects, and certainly not statistics. You Are Not A Therapist!